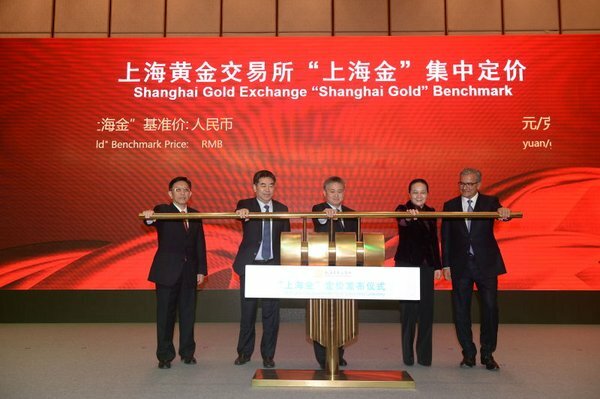 Exactly 19 months to the day after the International Board of the Shanghai Gold Exchange (SGE) held its first full trading session on 19 September 2014, the Shanghai Gold Exchange launched the Shanghai Gold Benchmark Price auction on 19 April 2016. In China, the number 19 is very auspicious since it consists of lucky number 1, which means origin or beginning, and lucky number 9 meaning everlasting, eternity, or longevity. Two Chinese banks eventually joined the LBMA Gold Price auction, Bank of China on 22 June 2015, and China Construction Bank on 30 October 2015, with Industrial and Commercial Bank of China(ICBC) tee’d up to join the LBMA Gold Price auction next month on 16 May 2016. 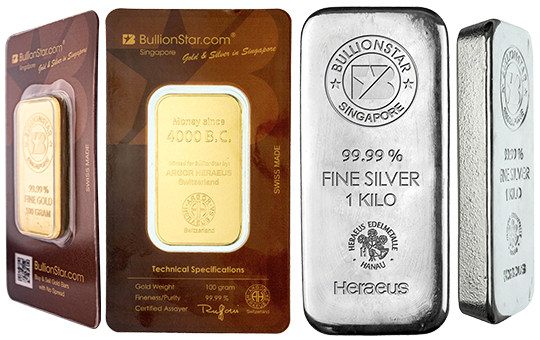 However, sources in the gold market have indicated that the Chinese banks, and others, had difficulty establishing the necessary credit lines with the incumbent bullion banks that are a LBMA perquisite for being a direct participant in the LBMA auction. 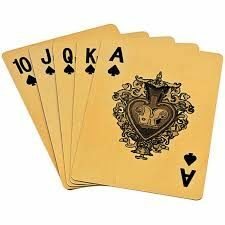 This need for bilateral credit lines between auction participants is not something that the Shanghai Gold Benchmark Price suffers from, since it is using a central clearing model, something that the LBMA have paid lip-service to but that has never materialised (nor will it if the LBMA has its way). The Shanghai Gold Benchmark Price, which I’ll abbreviate to SGE Gold Fix, is a twice daily auction held on SGE business days at 10:15 am and 2:15 pm (Beijing Time). All time zones in China are officially the same time zone (and run on Beijing Time), with Shanghai Time equivalent to Beijing Time. The SGE Gold Fix auctions use the exchange code SHAU, and run on the electronic SGE trading platform using a ‘centralised pricing trading’ auction model. The auction is for physically-delivered 1 kg lots of 99.99% purity gold or higher, quoted in RMB per gram, with a tick size of RMB 0.01. 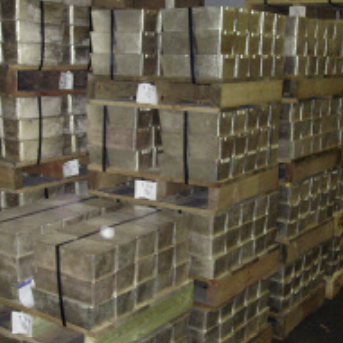 Delivery is in the form of 1kg standard gold ingots of fineness 999.9 or higher at SGE certified vaults. For the SGE Gold Fix, standard gold is either gold from an SGE approved refinery, or gold from a LBMA approved refinery. Settlement / Delivery is two days after trade date i.e. T + 2. 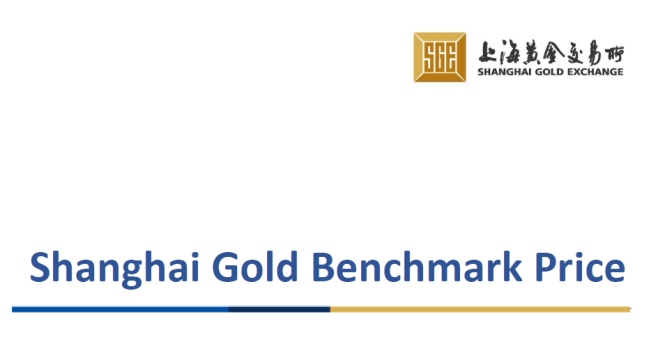 At this juncture it is important to emphasise that the Shanghai Gold Benchmark Price is a centrally cleared auction on the largest physical gold exchange in the world, that delivers real physical gold bars at any of the SGE’s 55 certified vaults. Shanghai Gold Exchange uses 55 certified vaults across 36 Chinese cities for gold storage. 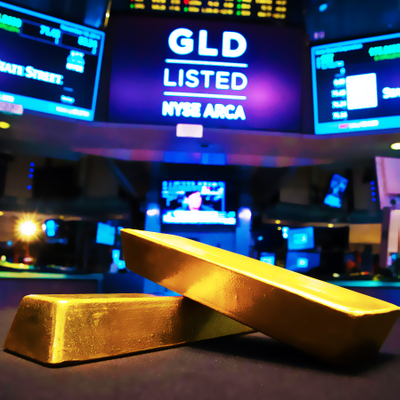 Unlike the LBMA Gold Price auction which just settles and clears its trades as unallocated gold that merely exists as a book-keeping entry in the database tables of the LPMCL’s AURUM system. The objective of the SGE Gold Fix auction is to arrive at a ‘Benchmark Price’, which is a price at which supply and demand reach a balance, while allowing a certain imbalance (less than 400 kgs) to remain. 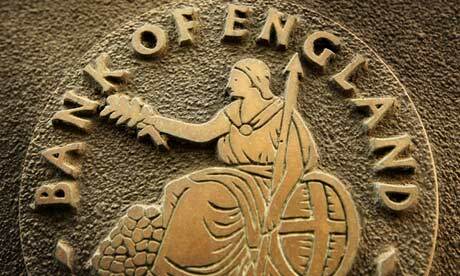 The overall auction concept is therefore similar to the LBMA Gold Price auctions in London. However, there are many features unique to the Shanghai auction. The SGE Gold Fix involves a ‘Reference Price’ which is used as the auction’s initial opening price. This reference price is derived from prices entered into the trading system by two specific groups of auction members during a 5 minute pre-auction window period called the ‘Reference Price Submission Window’ which runs from 10:09 am – 10:14 am for the morning auction and from 2:09 pm – 2:14 pm for the afternoon auction. These two sets of members are ‘Fixing Members’ and ‘Reference Price Members’. All of the Fixing members are financial institutions. 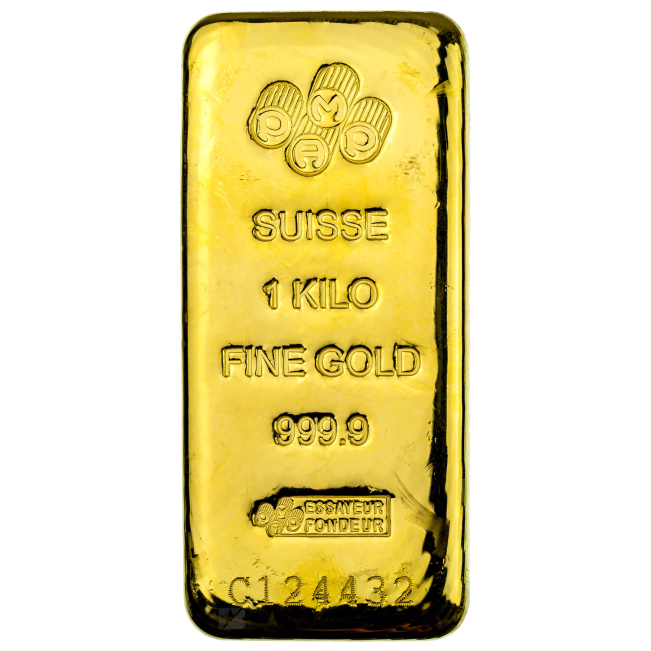 The Reference Price members include gold mining companies and gold jewellery companies. The logic of obtaining opening reference prices from both fixing members and reference price members is that the SGE feels it will minimise price manipulation and price collusion since the reference prices submitted include a broader set of entities (i.e. include non-financial entities). This is a clever ‘checks and balances’ approach that is lacking in the LBMA Gold Price auction. At launch, there are 12 Fixing Members and 6 Reference Price Members. The 12 Fixing Members are all banks, 10 of which are pure Chinese banks. 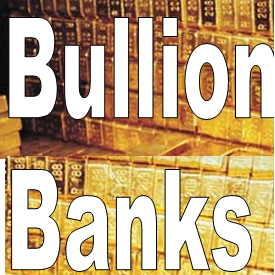 These 10 Chinese banks are the Big 4 state-controlled banks in the Chinese Gold Market, namely Bank of China, China Construction Bank, Industrial and Commercial Bank of China (ICBC) and Agricultural Bank of China, followed by Bank of Communications, and also Industrial Bank, Ping An Bank, Bank of Shanghai, Shanghai Pudong Development Bank, and China Minsheng Bank. The final Fixing members are local entities of 2 foreign banks, namely Standard Chartered Bank (China) and Australia and New Zealand Bank (China) (ANZ). Both Standard Chartered and ANZ hold gold import licenses into China, as does HSBC, however, there is no indication as of yet of HSBC becoming a Fixing Member. 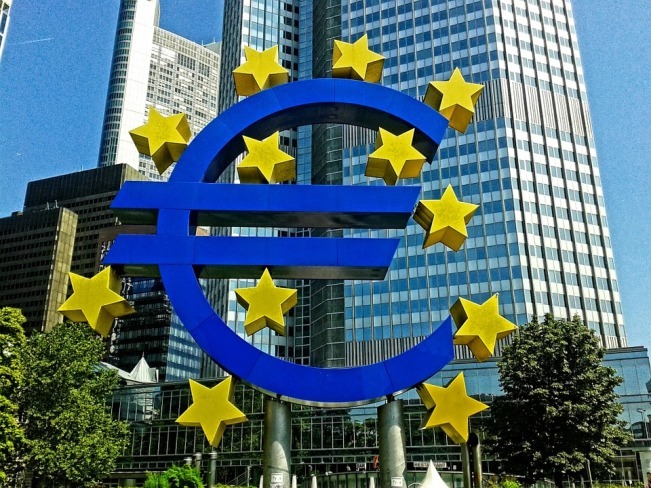 This is despite a report in January that China would penalise in some way a foreign bank with a gold import license if it did not join the SGE Gold Fix. Two of the 12 domestic bank holding gold import licenses, Everbright and China Merchants Bank, are also absent from the SGE Gold Fix member list. Perhaps in time, they, along with HSBC will sign up. The 6 Reference Price members are Chow Tai Fook, one of Hong Kong’s largest jewellery companies and which also has a huge Chinese retail presence, China National Gold Group Corporation (China Gold), the largest of the Chinese gold mining companies, Shangdong Gold Group, another large Chinese gold miner, Shanghai Lao Feng Xiang, a large and well-known Chinese jewellery company, Bank of China (Hong Kong) Ltd, the RMB clearing bank in Hong Kong, and the SGE’s appointed settlement bank for the CGSE-SGE Gold Connect betwen the SGE and CGSE in the Hong Kong Gold Market, and MKS (Switzerland), the Swiss gold trading group that owns the PAMP gold refinery and also owns New York based MTB. The above is just an initial list of participants that have joined so far. The SGE maintains that any qualified entity can join up in either the Fixing of Reference Price member categories. 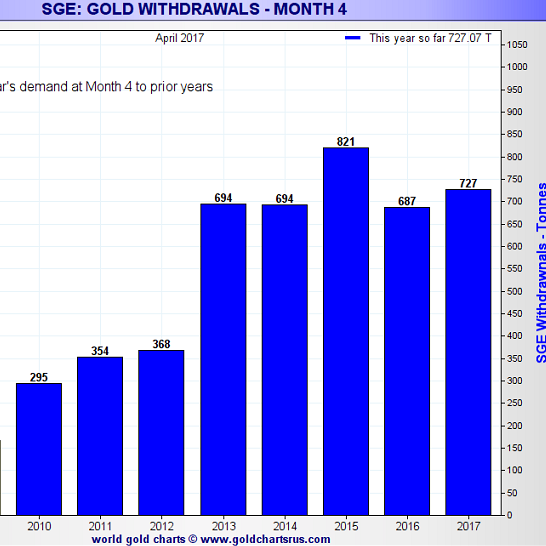 SGE stipulates that Fixing Member applicants are required to be financially-viable financial institutions that are either active on the SGE or active in the global gold market, while Reference Price applicants can meet one of a number of criteria such as “be a leading producer or consumer in the gold industry” or “be involved in the production, processing, trading, or investment of physical gold“. The Fixing members and Reference Price members submit initial reference prices. As to whether all members must submit a reference price is a moot point. Article 12.2 and 12.3 of the Rules for the Shanghai Gold Benchmark Price Trading state that the Fixing and Reference Price members “must provide market reference price at the designated time before the start of centralized pricing-trading“, however, the Shanghai Gold Benchmark Price White Paper (April 2016) describes a hierarchy of contingencies in deriving the reference price, two of which cover situations where less than 50% of members make a reference price submission. If > 50% of members submit a reference price, SGE calculates an arithmetic mean after disregarding the highest and lowest submitted price. If < 50% of members submit a reference price, the SGE calculates an average (arithmetic mean) of all trades in the Au9999 spot gold contract that have been executed on the SGE during the timeframe for submitting reference prices. The Au9999 is the SGE busiest spot gold contract. Based on this three-pronged approach, it would seem that the members are not all obliged to submit a reference price, otherwise the 50% threshold would never arise unless due to communication outages or similar. The only logical interpretation of the two documents is that if a member turns up to the auction (or logs in to the trading platform), then they are obliged to submit a reference price. If they don’t turn up, then there is no obligation. Notwithstanding this grey area, after the reference price is calculated the SGE then publishes the opening price. Some readers will recall that ICE Benchmark Administration (IBA) uses a ‘human’ chairperson to come up with the opening price in the LBMA Gold Price auction using a number of price sources that ICE Benchmark Administration will not divulge. 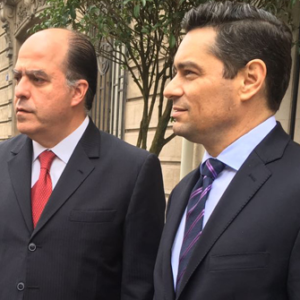 Nor will ICE Benchmark Administration divulge the identities of the panel of chairpersons that it employs to chair the daily LBMA Gold Price auctions. Frankly, this is a disgrace and a scandal, and shows that the Chinese auction methodology is far more transparent that its London counterpart. My hunch is that there are names involved as chairpersons in the current LBMA Gold Price auction that were also involved in the former London Gold Market Fixing Limited company which operated the London Gold Fixing auctions. Otherwise, why keep the identities a secret. No mainstream financial journalists in London will touch this particular story, although they are all aware of it. 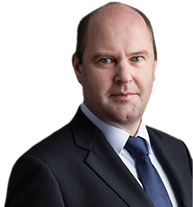 See BullionStar blog “Six months on ICE – The LBMA Gold Price” for further details about the lack of transparency in the administration of the LBMA Gold Price auction. Once the opening price of the Shanghai Gold Benchmark Price is established using the calculated reference price, the auction begins, and participants and their clients submit their buy or sell orders and transaction volumes etc. The auction consists of a first round and possible subsequent rounds if supply and demand don’t reach a balance. There are two distinct time periods in each round, a ‘market tendering‘ session and a ‘supplementary tendering‘ session. The market tendering part is just the normal part of the round where all participants and their clients submit orders. The supplementary tendering session in each round only applies to the Fixing members, and allows them to submit supplementary orders against the remaining imbalanced quantity so as to try to reduce the imbalance to less than 400 kgs and so speed up the auction, because if the imbalance is shrunk to under 400 kgs, there is no need for an additional round(s). The first round consists of a 1 minute market tendering session + a supplementary tendering session of 10 seconds. If the price is not balanced after the first round, the SGE trading system will adjust the price upwards or downwards depending on buy and sell orders, and then a new round begins. Any and all subsequent rounds consist of 30 seconds duration of a market tendering session + 10 seconds of a supplementary tendering session. Once the imbalance is less than 400 kgs, it is shared out among the Fixing members. The price is then said to be balanced and the SGE then publishes the benchmark price. The ‘Shanghai Gold Benchmark Price’ now has its own web page on the SGE website here, with daily price lookup, daily, monthly and annual charting (which will make sense when the auction has been running for a while), and Trading Rules, Contract Spec and Q & A (to be uploaded, but some of which are already detailed in the Rules and White Paper linked above). Of the list of 11, seven reps come from pure Chinese entities, with the remaining four from two foreign banks, the World Gold Council and ‘Baird Mint’. All represented entities have connections with the SGE except it seems Baird. The Oversight Committee’s remit is to monitor trading, clearing, delivery, in terms with SGE rules, analyse trading behaviour, examine conflicts of interest etc. The SGE uses central clearing of the trades executed in the SGE Gold Fix auctions and so there is no credit risk between participants. Under central clearing, the exchange becomes the counterparty to all buyers and sellers. This also avoids the need for participants to maintain bilateral credit arrangements with each other, and so easily allows the number of auction participants to grow, even exponentially. 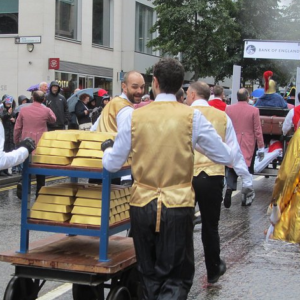 The lack of central clearing in the LBMA Gold Price auction is a huge barrier to entry for non-bullion bank participants and has been kept as such by the LBMA, even though ICE offers central clearing and has been well able to implement a centrally cleared model from Day 1 in March 2015. 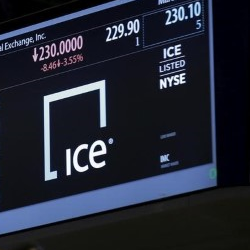 See ICE Executive Summary which summarises the winning ICE bid for the LBMA Gold Price wherein ICE discusses “moving to a centrally cleared model“. The Shanghai Gold Benchmark Price is but one more step in the growth and deregulation of the Chinese gold industry, and the internationalisation and extended use of the RMB. Much of this scene was set back in 2000 at the China Gold Economic Forum. 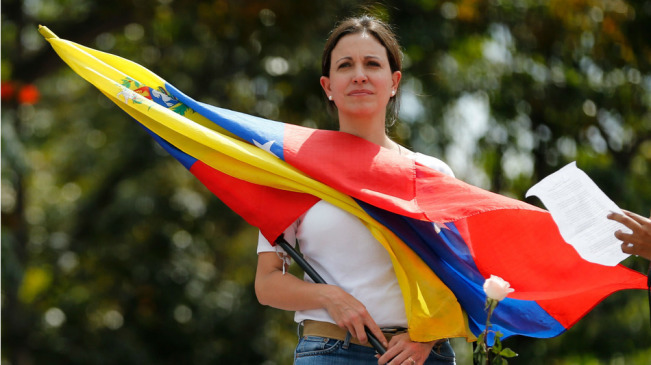 It’s also a natural step for a country that is the largest gold producer, gold consumer and gold importer on earth. The SGE Gold Fix also provides China with a real role in global gold price discovery and creates the first proper transparent RMB denominated gold price benchmark, calculated within a centralised trading auction setting on an exchange. An RMB gold price benchmark aids risk management and hedging in the domestic gold sector, and can also now be used within Chinese gold-backed derivative products, a function which the SGE has explicitly mentioned. So expect financial products to appear that use the Shanghai Gold Benchmark Price as a reference or valuation price. In China, where gold is correctly recognised as the ultimate money, there is also the prestige of having an internationally known global gold price benchmark, that will, in SGE’s words “enhance China’s voice in the global gold pricing market”. 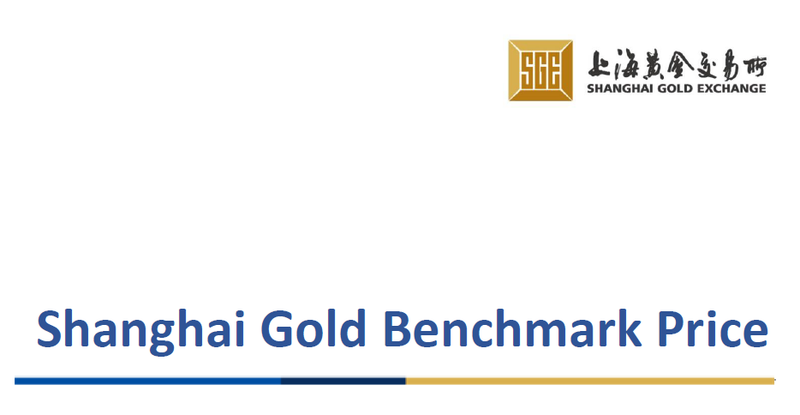 In its White Paper, the SGE states that “the relationship between Shanghai Gold and Loco London Gold is non-competitive”, and it lists a number of reasons why this, on paper, is so, such as the London auction is for the OTC trading of 400 oz bars of 99.5 purity quoted in USD, while the Shanghai auction is Exchange-based trading for 1 kg bars of 99.99 purity quoted in RMB. While this is true, these are only ‘contract spec’ differences, and having a PBoC controlled gold benchmark that is not in London and not under the control of LPMCL clearing banks and the Bank of England is a much bigger change than purely differing contract specs. The Chinese play a long patient game and more often than not just go ahead and do things / make things instead of just talking about doing things. The SGE and the PBoC have now set up another part of the infrastructure that can in time play a critical role in the global gold market as the Renminbi begins to internationalise. Whenever the Chinese Government and PBoC move to allow gold to be officially exported, this will really boost the new kid on the block benchmark. I would not think that the Chinese will want to make waves with this Shanghai benchmark in the near future that would explicitly jeopardise their relationships with the London Gold Market. The fact that the luminaries of the global gold world were at the SGE Gold Fix launch ceremony and the China Gold Market Summit Forum on 19 April, much like they were at the launch of the SGE International Board in September 2014, attests to the fact that large players such as the World Gold Council, LBMA, MKS, ANZ and Standard Chartered are very much in a cooperative relationship with the SGE, the China Gold Association and the large Chinese banks. As the Chinese Gold Market continues to evolve, my view is that the Shanghai Gold Price Benchmark will naturally move into the ascendancy, and that its physical gold price discovery influence will subtly begin to show up the London Gold Market’s trading weaknesses (i.e. 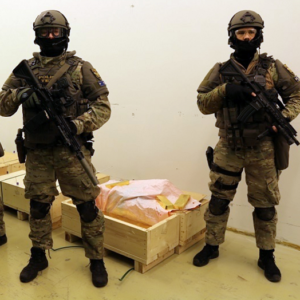 small % of physical traded), or alternatively, the Chinese will at some stage call time-out when ready, and allow the Shanghai Gold Price Benchmark to really shift up a gear to generate physical gold prices that will disconnect from the COMEX and LBMA pass the parcel shenanigans.